Is My Business Divisible During My Divorce? Georgia is one of the majority of states that use the equitable distribution model to divide marital assets during divorce proceedings, meaning that everything must be valued, and then divided as close to equally as the court finds appropriate. This includes family businesses or practices, such as a medical or dental office. While it may be possible for you to retain your practice or your family business, in some situations the court may recommend selling it and dividing the proceeds. Understanding the nature of the law can shed some light on your options. Is The Business Marital Property? The first step one should take is determining whether a business is marital property in the first place, as if it is considered separate property, it is not divisible. However, most businesses will wind up being declared at least partially marital property, because very often, they will appreciate in value during the marriage. If this is so in your case, then the normal cycle of valuation and division will likely happen. However, in some unusual situations, your business may be worth too little for your ex-spouse to seek an ownership interest. If it has little capital and few assets, it will likely not be worth the bother. Once your business has been found to be (partially or wholly) marital property, it must undergo a process called business valuation, usually done by an expert witness like a Certified Public Accountant (CPA). In most cases, the business will be awarded to the spouse who runs it or owns the shares of the business – however, because the business will almost certainly have benefited from both spouses’ efforts during the marriage, its value must be offset by other assets. One important thing that you should be aware of during a business valuation is the concept of goodwill – both personal and enterprise. Every business generates goodwill as it serves the public, either on the part of the proprietor, or on the part of the enterprise itself. The Georgia Supreme Court has held that personal goodwill is generally not part of the marital estate, and thus should not be counted in the valuation of a business. However, enterprise goodwill can and should be taken into account, given that it necessarily comes with the business, not the proprietor. Issues like goodwill can be critical to determining the value of the business, but it is important to ensure that the valuator does not ‘double dip’ on its value. This ‘double dipping’ occurs when any enterprise goodwill is used both to calculate asset division and then again in calculating any support award. In other words, ‘double dipping’ is valuing an asset as part of the marital estate, and then turning around and basing a support determination as if the asset were already part of one spouse’s proceeds, when the asset has not yet been given to anyone. Asset division is almost always the most complex part of a divorce, and if one spouse owns a business, it can get even more so. If you have questions or are confused about how your business plays into the overall marital estate, contacting a lawyer who has handled these cases before can be a great help. 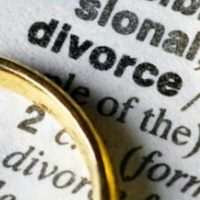 The Atlanta divorce attorneys at Buckhead Family Law are happy to try and assist you with your case. 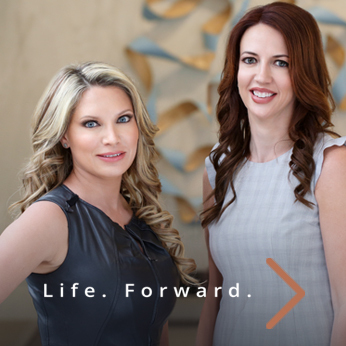 Contact our office today to schedule a consultation.